Wondering what I have been thinking about every morning this past month? 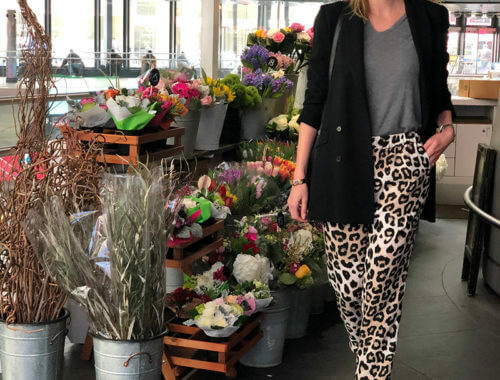 What to wear during this crazy and unpredictable weather! It’s a daily struggle with the ever-changing temperature. One day it’s 30 degrees and the next day it’s 70!! Ahh it’s almost impossible to look cute. As my mom used to say, dress in layers. 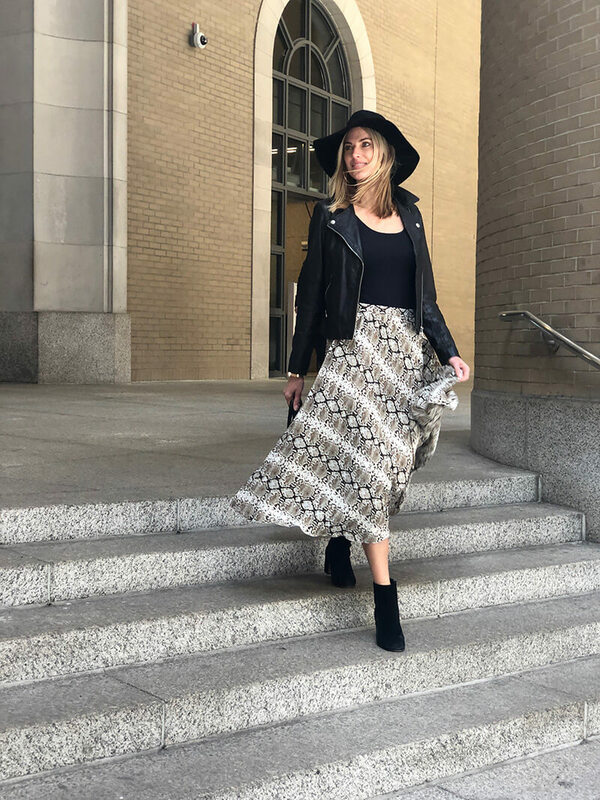 The perfect solution is mixing in some of your winter staples with your new spring buys, hence this fab chiffon snake-print skirt. 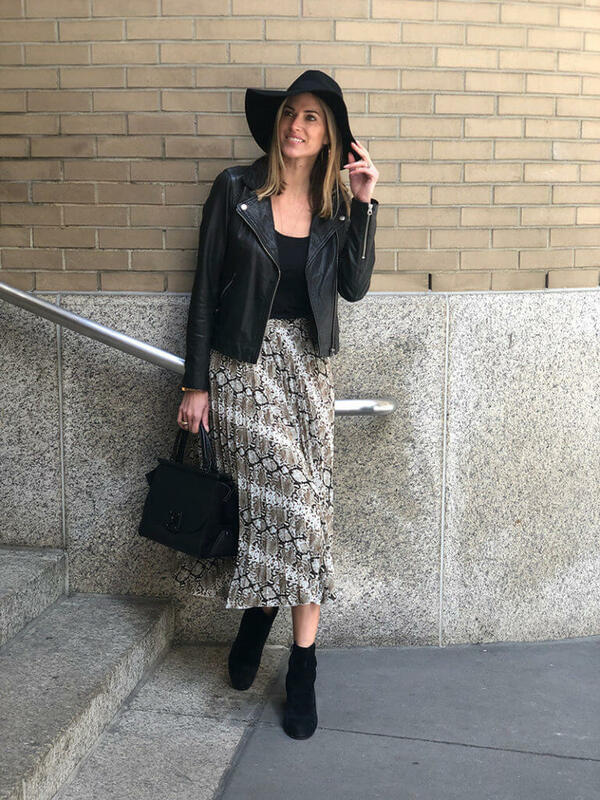 Stay warm with a hat and some leather but rock the day with snake vibes for spring! If the day turns out to be 70 degrees, lucky you, just shed the leather!